The MegaPhase app provides quick product identification and selections. 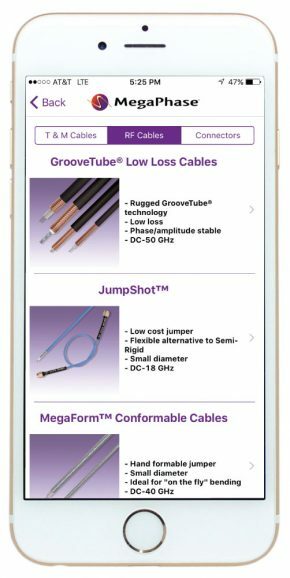 Engineers can quickly design custom cables. Quick quote requests can be automatically generated and emailed for rapid response. Custom cables can be built and emailed instantly for quick quotes. Instant Phone calls are made available for any inquiries or questions.